Crowley’s Publishing Exploits in the 1920s – Zero Equals Two! 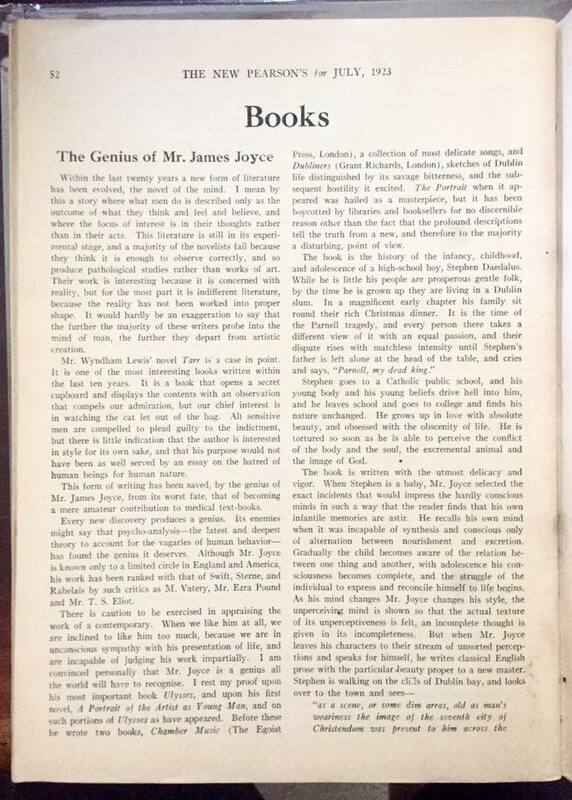 Aleister Crowley, “The Genius of Mr. James Joyce,” The New Pearson’s, July 1923, 49(7): 52-3. The 1920s were a hard decade for Crowley to get into print. 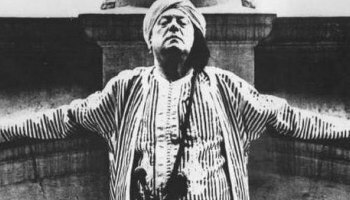 Dogged by bad press, from Detroit’s “love cult” scandal and Universal Book Stores’ bankruptcy in 1922 to the tabloids’ mischaracterization of Raoul Loveday’s 1923 death from dysentery with headlines like “The King of Depravity,” “A Wizard of Wickedness” and, most famously, “The Wickedest Man in the World,” anything with Crowley’s name on it was toxic. The English Review—based on the strength of earlier submissions such as “The City of God” and “An Appeal to the American Republic”—ran nine pieces by him in 1922, all pseudonomous. When Collins gave him a contract for “Diary of a Drug Fiend,” no surprise that he cranked out the book within 30 days. Another rare journal that showed Crowley some love was Pearson’s, under the contributing editorship of his old pal Frank Harris, with whom he was pipe-dreaming about buying a Parisian newspaper…if only they could find an investor! 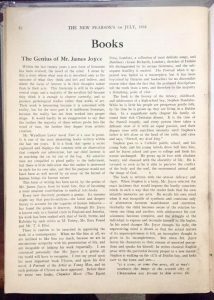 Pearson’s ran two articles by Crowley in 1923: appreciations of Frank Harris and James Joyce (pictured in this post). Over the remainder of that decade, Crowley would publish broadsheets and some poetry (“Songs for Italy,” and his Baudelaire translations “Little Poems in Prose”), but it would be 1929—seven years after “Diary of a Drug Fiend”—before other major works would be available to English readers: “Moonchild” “Spirit of Solitude” (aka “The Confessions of Aleister Crowley”) and “Magick in Theory in Practice,” followed by P. R. Stephensen’s vigorous defense of the author, “The Legend of Aleister Crowley,” in 1930. This is amazing! I’ve looked for years to find Crowley’s opinion on Joyce. Could you publish the rest of the article please (or email it to me)?